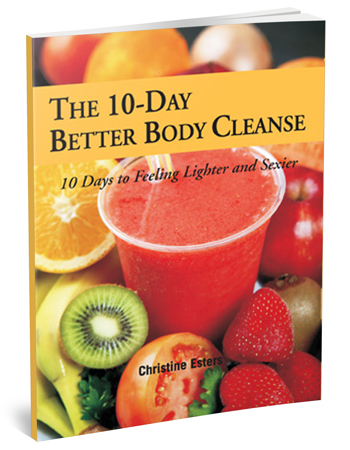 Digestive Health Coach Christine Esters is showing those wanting to feel lighter and healthier, how to find the inspiration, motivation and information needed to build a strong, energized body and a new cleansing lifestyle through her latest book, “10 Day Better Body Cleanse“. “Detoxing your body is a way to recharge, rejuvenate, and renew,” says Christine. “If you find yourself tired, bloated or constipated, or if you see yourself in the mirror and wish you looked and felt better, then applying a personal rejuvenating plan can change your life,” she added.